The last few years, brides have been trying to recreate the most glamorous celebrity weddings or something straight from a Pinterest board. But in 2016 it is clear that brides are more interested in creating something much more original and true to their personalities. Couples want their guests to have a fun experience that won’t look or feel outdated! So you are probably wondering: what does a wedding look like in 2016? 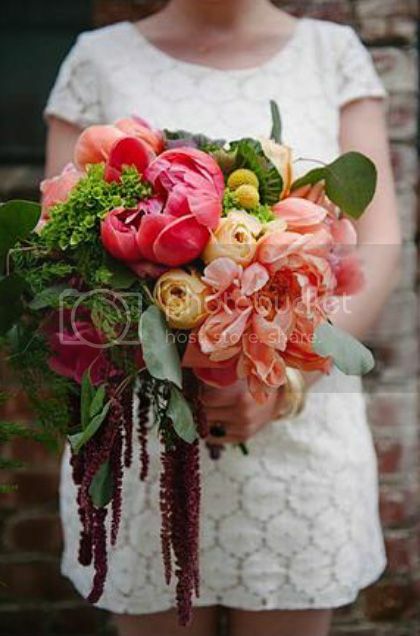 Rather than having the “it” flower, brides are going more for the flower that is in-season and local, opting for free-form bouquets and centerpieces that showcase blooms and greenery. These free-form bouquets and centerpieces often include a mix of big and small blossoms in more than one color. You’ll even see floral crowns and backdrops. Metallics are a great way to add some elegance to your wedding. 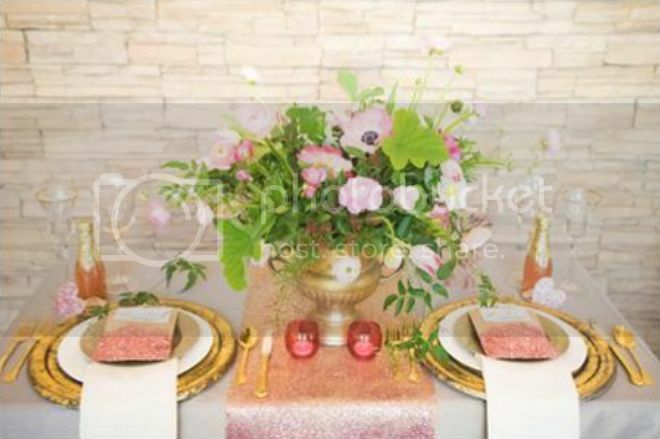 Glitzy golds stand out and will show up on everything from rings to linens. Metallic touches can make a black-tie wedding pop or an outdoor venue glow. As an added bonus, these colors set off almost any other color you choose: blue, purple, pink, etc. In 2011, Kate Middleton’s long sleeved lace wedding gown set the stage for this style to make a statement. Since then, we continue to see celebrity brides like Nikki Hilton and Allison Williams jumping on the craze, and designers continuing to expand upon the classic style. 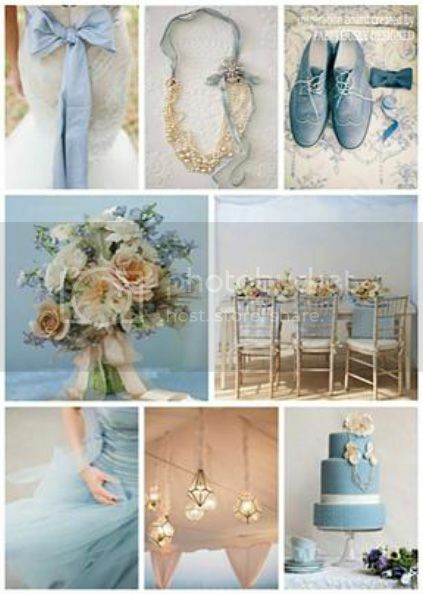 Blue has been one of the most popular wedding colors for years. This year pastel blue has made a comeback in a huge way. From bridesmaid dresses to bouquets, invitations and even groomsmen attire, this weightless and airy color trend is here to stay. We will see a shift in locations for weddings. Destination and outdoor weddings are on the rise. 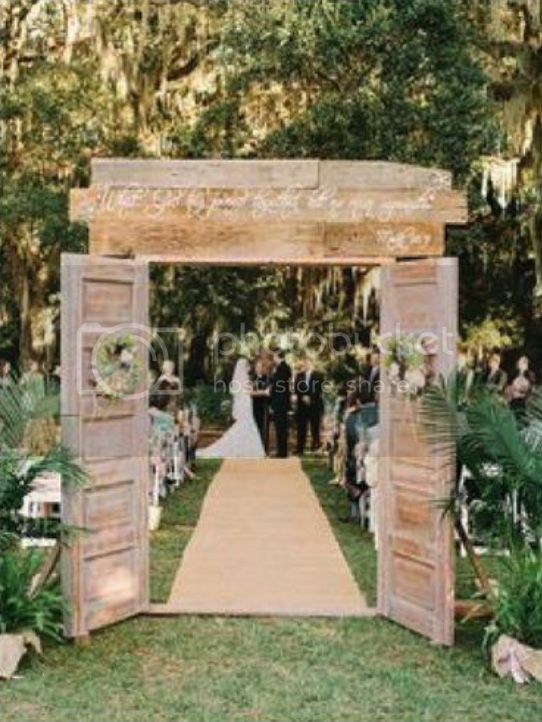 Rustic weddings were popular in 2015, but we will see a more glamorous take on the theme this year. You can expect to see these changes in details like chandeliers hanging from barn rafters or fine china on a natural wooden table. Couples love the outdoorsy feel of the rustic trend, but will continue to update the look with more luxurious components.